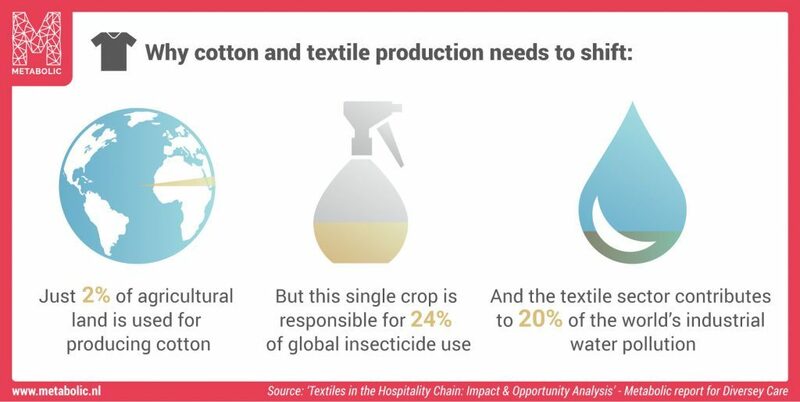 The textile sector contributes to 20% of the world’s industrial water pollution and, despite the fact that only 2% of the world’s agricultural land is used for the production of cotton, this single crop is responsible for 24% of global insecticide use. As major users of global linen, hotels are in a unique position to make changes in linen sourcing, care, and disposal. Metabolic has undertaken a study for Diversey Care to highlight the environmental impact of hotel linen and potential interventions for reducing water, energy, chemical, and linen waste. 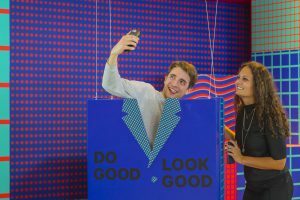 The report Textiles in the Hospitality Chain: Impact & Opportunity Analysis will help hotels better manage costs, reduce environmental impacts, and improve reputations and customer relations. Metabolic analysed the performance of linen from cradle to grave. The resulting report highlights that large water demands and agri-chemicals are used during the production and manufacturing of linen, and also found that the energy demand during the use phase is eight times higher than in the production and manufacturing stage. 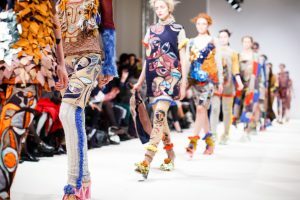 During its last stages of life, 80 percent of textiles end up in landfill or are incinerated rather than recycled. At linen purchase: Linen made from 100 percent organic cotton that uses longer fibers is more durable, preferred by customers and can also be recycled 2 to 4 times on average, allowing for greater reuse at end of life. 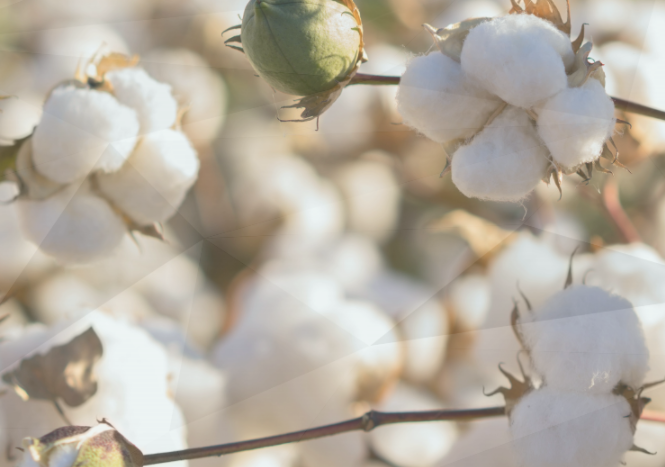 The study recommends sourcing cotton from areas with low water stress to reduce water use. During use: Implementing a cold washing program can increase the lifespan of linen by up to 40 percent, reduce rewash rates and resource consumption, and improve productivity. End of life: When hotel linen reaches the end of its lifespan, it can be used as bedding for hostels, cleaning rags, or repurposed in the textile industry as pocket linings. 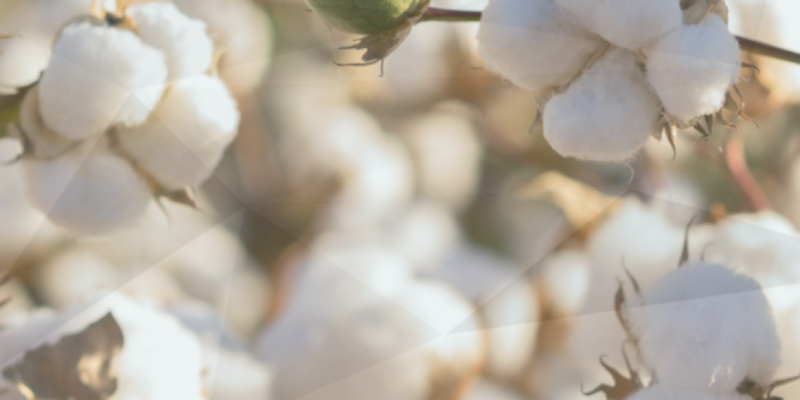 Recycling organic cotton can potentially reduce 53 percent of greenhouse gas emissions, 24 percent of water use, and 40 percent of overall land use. Companies that implement the changes recommended in the report will not only see direct savings, they will also be rewarded by conscientious travelers. They will also be assisting the United Nations in reaching Sustainable Development Goal 12: ‘Ensure sustainable consumption and production patterns’. You can read the executive summary of the report on the Diversey website here. You can read more about Diversey Care – a division of Sealed Air Corp. – and its holistic approach to the linen life cycle here. 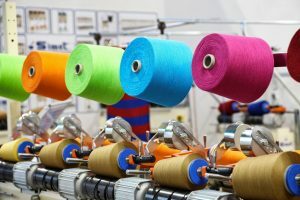 Textiles: Metabolic also has a strong involvement with textiles, one of the largest and most globalised sectors, often involving complex supply chains. For C&A, one of Europe’s largest fashion retailers, we produced a comprehensive strategy and roadmap on how to achieve a 100% closed material cycle, including an economic evaluation of the costs and revenues over time. For another client, we evaluated the potential for increasing post-consumer textile collection and high value recycling in the Netherlands. We have also evaluated the potential for impact reduction and material recovery of proposed product applications from recycled textiles. 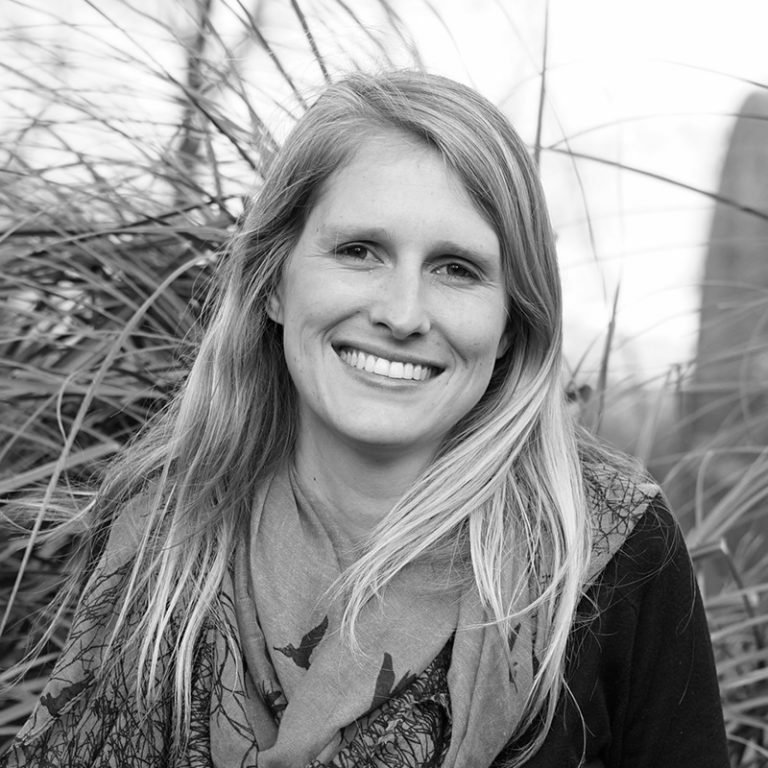 Hotels and hospitality: Metabolic was brought in by the team behind a new hotel project in Amsterdam to provide a feasibility study on potential innovations and interventions that could improve its sustainability. This led to assisting with the development of a circular greenhouse on site, and helping to develop a zero waste strategy for the hotel, as well as providing advice on materials to ensure ethical supply chains and that products used at the hotel could be reused or recycled. We are also currently working with an international hotel chain on an exciting new pilot development where widespread circular economy principles will extend to the guest experience itself. Over the last five years, we have worked on the design and development of half a dozen unique and sustainable hospitality concepts.